It’s fair to say most first-time website owners opt for a shared hosting plan. These plans are low-cost and beginner-friendly, and if your site stays small, they can be a perfect fit. But if your site starts bulking up — with more traffic and more content — there will probably come a time when that shared hosting plan starts pulling at the seams like a teeny, tiny T-shirt crammed on a bodybuilder. Not to worry, my muscle-bound friends! There are a bunch of other hosting plans out there to help you size up. Many provide additional features to keep your growing site performing smoothly. So let’s talk this through. First, I’ll explain why you might want to upgrade and when you should. Then we’ll walk through some of the most common types of hosting plans before showing you how to start the upgrade process. Let’s start with the heavy lifting. Shared hosting is a smart choice if you’re new to running a website and need a budget-friendly option. 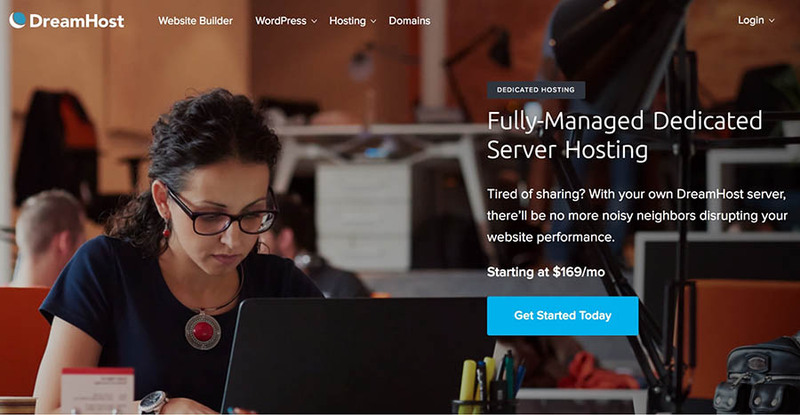 Simply put, most first-time website owners don’t know a lot about hosting. They opt for the cheapest plan they can find and go back to focusing on designing their site and creating content. Truth bomb: there’s nothing wrong with this approach! Basic hosting can serve you well during your site’s early stages. If this sounds like you, chances are you signed up for a shared hosting plan when you originally built your site. Shared hosting is a convenient, low-cost, and beginner-friendly option. It involves renting space on a server, which is shared between lots of other users. This type of hosting is a great way to get started and requires little maintenance (as long as you choose a reputable provider). For some sites, shared hosting is, ultimately, the best option. If your site is small, doesn’t see a ton of traffic, and doesn’t require a lot of resources, you may never need to upgrade your plan. Websites fitting this definition often include online portfolios and personal blogs. However, it’s important to realize that shared hosting comes with certain limitations. As the name suggests, you and other shared hosting customers share the resources of the server. This means that if another website on the same server is receiving a large amount of traffic and using a lot of CPU resources, it’s possible that your site may run slower as a result. Plus, shared hosting doesn’t come with some of the benefits other plans include, such as advanced security features. Once your site has been up and running for a while, you should consider whether it’s time for a hosting change. Fortunately, there are some clear signs that will tell you when an upgrade is worth your while. Your site’s performance is suffering. Speed and performance are vital for any website. These factors play a huge role in search result rankings and user experience, and a site that is sluggish can drive visitors away. Most people expect any site they visit to load in two seconds or less, so if yours is slower than that, you may need a hosting plan with more resources. You can test your site’s performance easily with Pingdom, GTmetrix, or WebPagetest. You’ll also want to make sure your website is optimized for speed. Your site is experiencing too much downtime. The importance of uptime is clear — if people can’t visit your site, there’s a good chance they’ll never try again. Believe it or not, it’s reasonable to expect about 99 percent uptime on your site (DreamHost even offers an uptime guarantee). If that’s not the case for you, it’s possible you are getting more traffic or using more resources than your current hosting plan can handle. You’re concerned about security. Shared hosting is fairly secure as long as you’re using a quality hosting company. Of course, no platform can be 100 percent secure, and regardless of the plan you’re on, you should always take steps to secure your site against baddies with malicious intent. That said, as your site grows, you may find the advanced security features offered by non-shared hosting plans can help you sleep a little bit easier at night. Your current plan doesn’t provide enough space or resources. As you add more pages and files, attract more traffic (including concurrent visitors), and generate more user activity, your site will take up additional space and require more server resources to run smoothly. To get started, test your site’s ability to handle concurrent visitors with a tool like LoadImpact. If the results aren’t to your liking, you might need a heftier hosting plan. If even one of the above applies to you, it’s worth looking into other hosting options. A simple upgrade to a larger, more comprehensive plan might be all you need to eliminate these problems and secure the best possible experience for your users. Once you’ve decided that it might be time to opt for a non-shared hosting plan, your next question will likely be: What type of plan should I get? 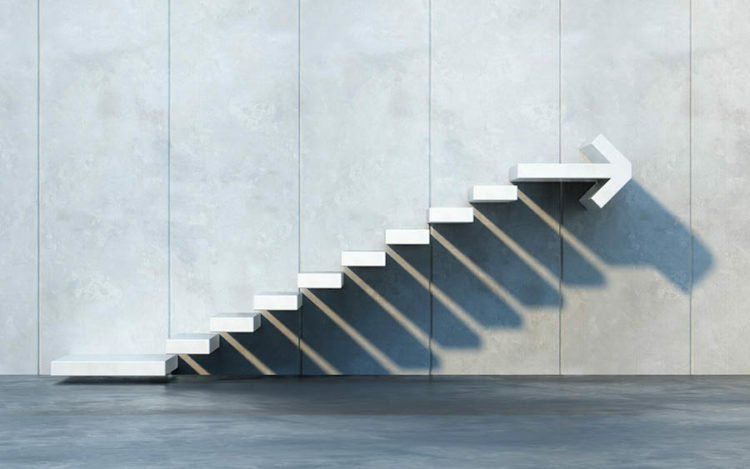 So let’s discuss the three options we offer at DreamHost that are the natural next steps from a shared hosting plan. Important note: even though I’m going to run you through the upgrade options available from DreamHost — because, true story, I think they’re pretty great — this info will still be helpful to you no matter which provider you decide to go with. Now, to the hosting upgrades! VPS hosting offers more space and features than shared hosting at a price point that’s only slightly higher. First, let’s consider Virtual Private Server (VPS) hosting. With a VPS plan, you get access to a virtually-partitioned server. This means your site will be located on the same physical server as other users’ sites but is kept separate in an allocated space that is dedicated just to you. VPS hosting comes with some super-sized benefits. You get your own set of resources that no one else can use and are able to customize your setup to meet your site’s unique needs. VPS hosting provides you with more resources than shared hosting and with more reliable performance. It’s also very scalable, meaning that as your site grows, you can simply upgrade the size of your virtual server to match the resources and RAM you need. Even better? DreamHost’s VPS plans are fully managed, meaning we’ll take care of all the nitty-gritty technical stuff for you. Of course, VPS hosting doesn’t actually provide you with a physical server so there’s not as much storage as you’d get with a dedicated hosting plan (we’ll get to that in a minute). However, it’s a solid step-up from shared hosting at a middle-of-the-road price. If your site isn’t traffic-heavy enough to need a dedicated server yet, a managed VPS setup is a great choice. We get it. Virtual servers can be confusing — that’s why we created the VPS beginner’s guide! Hosting that is specific to your website’s platform — such as DreamPress — is a smart choice. Now let’s look at DreamPress, our managed WordPress hosting solution. Like we discussed above, a managed hosting plan is one where your web host manages your server for you. This takes most of the responsibility for keeping your site running smoothly off your hands so you can focus on what really matters: growing your website! And that’s exactly what DreamPress does for WordPress users. We’ve specifically built this technology to optimize your site’s performance on the world’s most popular CMS — delivering lightning-fast load times, upgraded security features, and access to our in-house WordPress experts. Plus, with DreamPress, your site gets its own allocated resources just like it would on a VPS plan. Of course, the features you get with a managed WordPress hosting plan will vary depending on the company you choose to work with. One thing that’s certain: advanced features usually come at a higher price point than a shared plan. However, the increase usually pays off in the long run, since you’ll save a lot of time by delegating all those hosting-related tasks to your provider. If you don’t have the time or technical knowledge to run your own server or just want to ensure that your hosting is in the hands of experts, a managed WordPress plan can be a lifesaver. Lastly, we have dedicated hosting. This is where you rent an entire physical server from your hosting provider. This server is only used to run your website and isn’t shared with any other users. This gives you access to a lot more resources than you’ll see with shared hosting. Since nobody else’s website can pull resources away from your site, it’s easy to ensure high performance and consistent uptime with dedicated hosting. Plus, you get full control over your server and can customize it to suit your exact needs. Security is also enhanced, as no other users can access your server. Of course, all of these benefits come at an increased cost. Dedicated hosting is usually quite a bit more expensive than shared hosting. And most of the time, it lends itself to more advanced users, who know enough about hosting and optimization to personalize their own servers. However, at DreamHost, we offer managed dedicated hosting, meaning you can focus on running your big-time website while we handle the technical to-do list. Let us help you determine what type of hosting is right for your site! Once you’ve settled on the type of hosting you want, you’ll need to find a suitable plan. 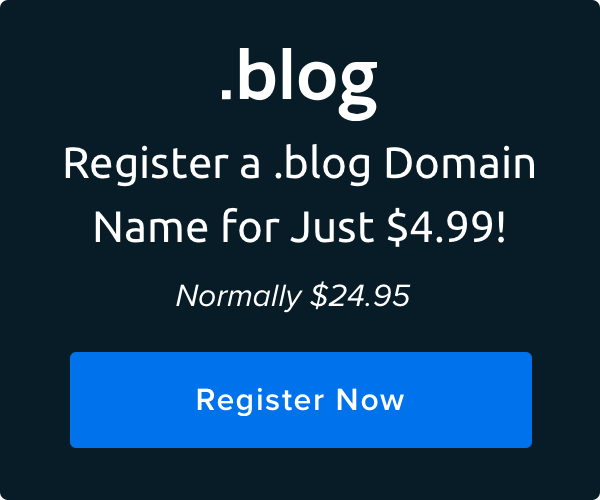 If you’re happy with your current web host, this is a simple prospect. You can contact your provider directly to find out if they offer the type of service you’re looking for and to ask how to start the upgrade process. However, if you aren’t 100 percent satisfied with your current host — or if it doesn’t offer the type of plan you want — this is the perfect time to shop around for a better option! You’ll want to look for a quality host with a reputation for excellent performance and security, and check out reviews from current customers. It’s also important to look closely at the specific plan you’re interested in to ensure that it has all the features you need. Don’t forget to make sure that the plan’s price is a good fit for your budget as well! Of course, you don’t have to look far to find a provider that meets all those criteria [waves sheepishly]. Here at DreamHost, we offer just about any type of hosting plan you might need with lots of useful features and competitive prices! As we’ve already discussed, we’ve got amazing managed VPS hosting and dedicated hosting plans that are perfect for upgrading your site and which provide plenty of space, features, and customization options. And DreamPress gives WordPress users a managed hosting option that’s designed specifically for the platform. It’s not uncommon to opt for the cheapest hosting plan you can find when you’re first building your new website. Just remember that after a while, your plan might begin to show its limits. The good news? It isn’t hard to upgrade to a new hosting plan with more choices, resources, and features. Do you have any questions about how to know when it’s time to upgrade your hosting plan (or how to get the process started)? Don’t hesitate to ask!